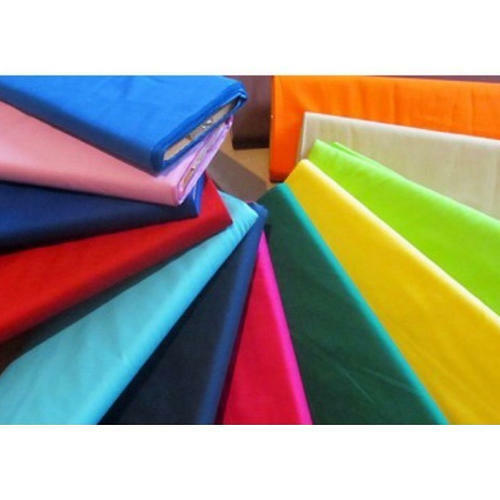 We are offering Plain Dyed Shirting Fabric to our clients. In the year 1988 it diversified to exports, and today it is a Govt. of India Recognized Star Export House (Star Holder).The esteemed group is led by the founder Mr. K.B Rughani and his partner’s Mr.Ronak Rughani and Mr.Bhavya Rughani with dedicated team of professionals, who sincerely believe in delivering the best fabrics and apparel to the customers. The company is equated with excellence in quality, creativity in design and dedication for customer satisfaction at a great level. Nowadays, the company has a great position in the field of Suiting, Shirting Fabric’s and other forms of fabrics and Apparel. It is committed to excellence, and strives to grow better & stronger with each passing year. Also, it is capable to meet the ever-growing needs of its global customers. The company had developed its in-house fabric design unit, that can be presented to its customers in order to present a board collection of Design and colors throughout the Year. · To bring about higher standard in Suiting and Shirting fabrics through excellence in Environment and Eco Friendly manufacturing techniques. · To be an excellent supply chain partner, offering an integrated textile solution to leading brands, wholesalers & retailers in the world. · Keeping in close touch with the customers and receiving their feedback. · Consistent innovation in fabric development in order to ensure exclusive properties straddling aesthetics, comfort, strength, color fastness and provide custom-designed fabrics. · Encouraging the participation of workforce in the management as one team. We expect and work for long-term relationship with our customers, suppliers and employees. Also our partnership is based on mutual understanding, respect and growth.